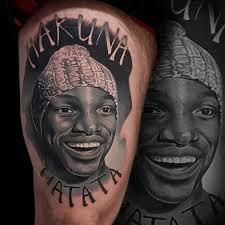 If you want to visit and have keen interest to witness amazing kind of tattoos, you can visit Inksane Tattoo & Piercing. It is the best tattoo and piercing shop in Roeselare (Belgium) having both local artists and some of the best tattoo artists in Europe who visit at the shop as a guest. The team here mainly focus on doing photorealism and tattoo portraits. If you have interest in any kind of tattoo styles, you can visit this shop anytime. They are located in the Ardooisesteenweg. 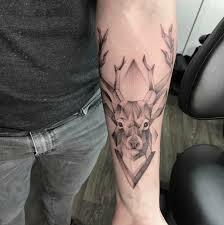 Not only one can get unique and stylish kinds of tattoos pictures sleeves from here, but the team of experts also masters in giving tattoo training to those who want to make successful career in tattoo. · This training is not free. A number of months will also go by before you begin earning money. Depending on your own skills and talent, this can therefore differ from 2 to 4 months. · Before you attend the training, you have to purchase your own tools such as (tattoo machines, power supply and laptop). The consumer's convenience (ink, needles, and promo) is given by the shop. · A course cannot be united with another school or job. You really have to give your 100% and endow in learning this profession. It is not like a 9 to 5 job. So, it gives a major change in life. These are the key points that you should keep on mind before you attend the class. At Inksane Tattoo & Piercing, the expert gives amazing tattoo ideas to all their visitors who want to ink tattoo on their body. So, if you are the one who got keen interest in tattoo, you can visit this famous shop and can avail their best tattoo services at affordable price range. Inksane Tattoo & Piercing also offers aftercare tattoo. If you have inked yourself, then they will guide you that what can you do and what not. They will tell you what precaution you can take after getting tattoo. If you want to ask any question to the expert at Inksane Tattoo & Piercing , feel free to contact them.